When Nikosi Bistro-Pub first opened its doors just two months ago, owner Wapokunie Riel-Lachapelle expected to ease into restaurant ownership, opening just four evenings a week. 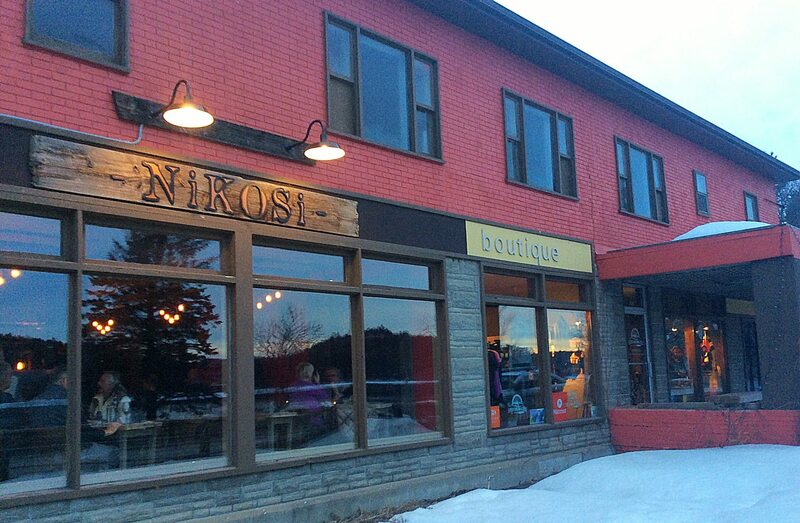 Instead, Nikosi has been an instant hit, prompting the busy owner to open six days a week. “Everyone who has visited has become a repeat customer,” says Riel-Lachapelle, whose bistro-pub menu — an ode to traditional rustic French cuisine fused with Indigenous ingredients — has already gained a devoted following. City Bites Insider sat down with Riel-Lachapelle on a bustling Thursday evening to find out why Wakefield’s newest eatery is already filled with regulars. I assume you have a background in the restaurant business? 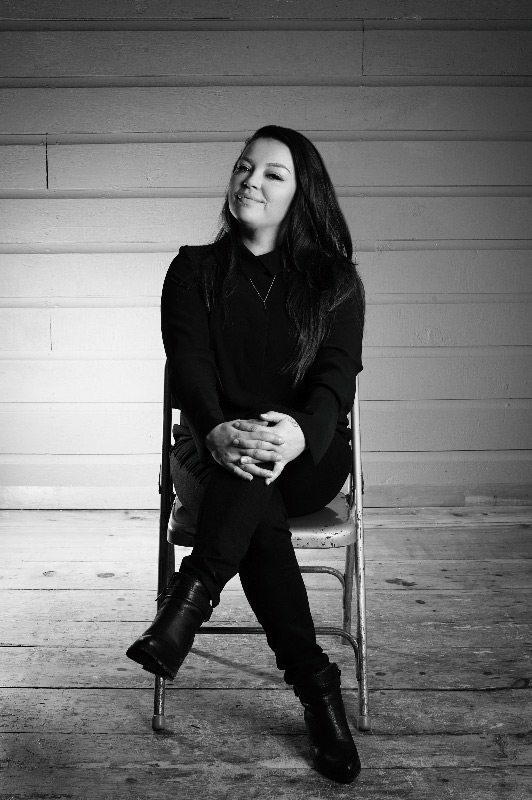 I’ve been in the restaurant business my whole working life — 18 years. I moved to Whistler when I was 17 and started at the Fairmont. I learned from the bottom up. What’s the most important thing you have learned in those years? To survive in the service industry, you truly have to love it. People don’t realize how hard it is, but it’s also such an adrenalin rush every night! You either have it or you don’t. You have to be very organized and very good with people. How did you end up in Wakefield? I was born in northern Quebec, but I grew up here in Wakefield. I headed to Whistler to work in restaurants, then Vancouver, then Toronto. I was actually planning to open a restaurant in Toronto about three years ago, but there was a glitch in the plans and it fell through. I came to Wakefield for a two-week vacation to get away from it all, and ended up staying. Are you happy to settle down in Wakefield after leaving all of those big cities? When my plans in Toronto fell through, I felt like it was over. But now I feel that Wakefield is where I was meant to be. This is where I was meant to open my restaurant. But perhaps your travels have provided you with a broader culinary perspective? For sure. All of the ideas I saw out west and in Toronto I put in my pocket for when I opened my own place. Tell me about the name. What does Nikosi mean? It’s actually my nephew’s name. It took me forever to come up with it. I had designed a logo with a bear framed by two paddles — the paddles represent a fork and knife, but also our location on the river — but I couldn’t figure out a name. Then it suddenly dawned on me: My nephew’s name, Nikosi, actually means bear paw! I called my brother and sister-in-law and asked them if I could use his name. Now Nikosi walks in and jokes that it’s his restaurant. Also, bears in Indigenous culture represent our grandfathers, so it’s like someone looking over you. Growing up, there were five kids in my family and we ate a lot of food that was organic and natural. My parents worked, but my Dad went hunting so we’d eat like kings — fresh partridge and wild rice… we always had homemade bread in our lunches. It’s funny to think that as a kid I wanted my family to eat like ‘normal’ people — have KFC. Of course, now I realize how lucky I was! My Dad was a really good cook and taught me. Food was made with love and it brought our family together. 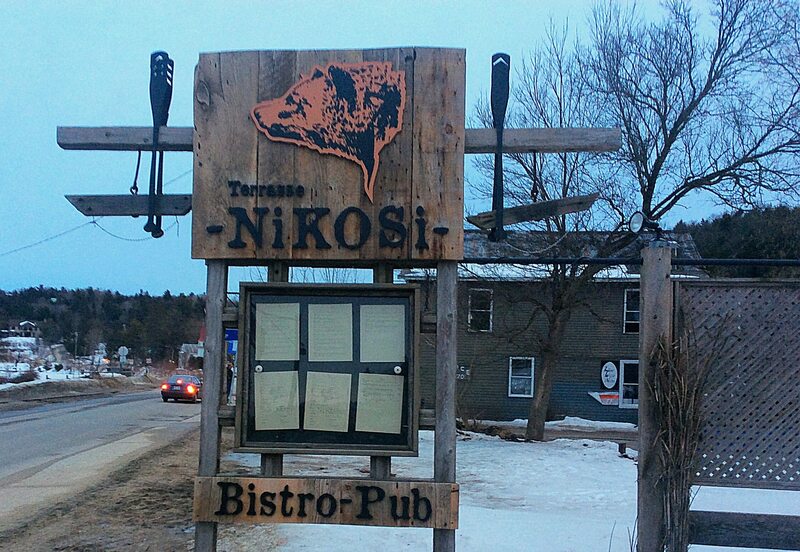 Tell me about the menu at Nikosi Bistro-Pub. 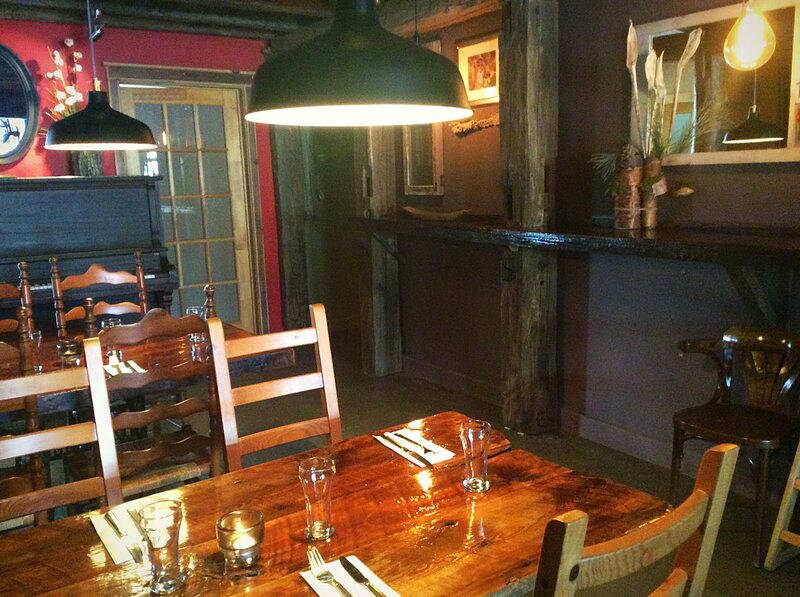 Since we opened in the winter, we did classic rustic French cuisine and fused it with Indigenous. We’re using a lot of duck confit and boar. We’re using a lot of products from around here. It’s really great comfort food. Your prices are very affordable. Yes. They’re a little lower because I want them to be. I want everyone to feel comfortable coming by and having a little or a lot. We also have most items available as gluten-free. I want there to be something for everyone. Speaking of which, there are quite a few kids here for dinner tonight. I know. Isn’t it great? We want the kids to have fun, so their parents can come here and have fun. I want kids to think it’s cool to be here, so there are things like a great poutine and a boar hotdog or a spaghetti with boar meatballs. Tell me about the bannock, which is served as bread or toast or crostini depending on what dish it’s paired with. Bannock is our traditional bread. It’s a pretty basic recipe — something you would cook over the fire when you were out in the bush — but there’s a real technique to making it. We’ve fusioned it a bit, so we have a garlic, chia seed, and flax bannock and an olive bannock. Any menu changes coming for summer? 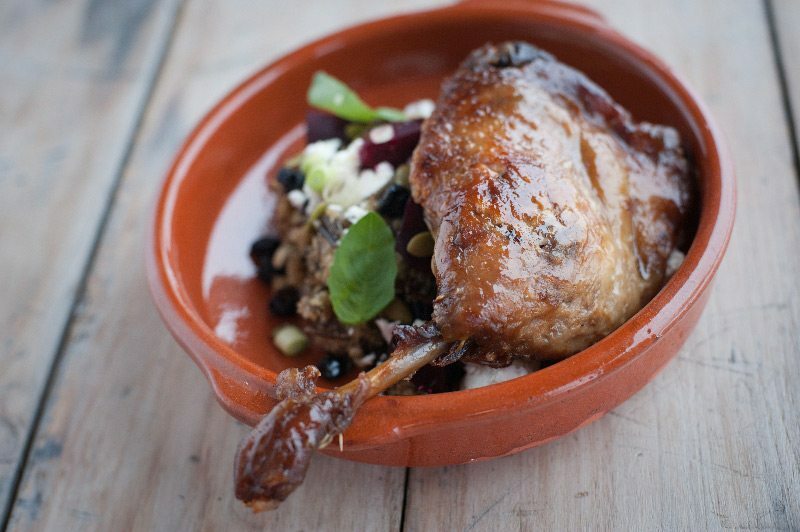 We think we’ll do tacos with jerk duck, maybe pulled boar, and maybe mackerel that you get up the St-Laurent. We try to keep in mind that everything we do has an Aboriginal tie to it. Simon: I’m really excited about a smoked mackerel salad with fingerling potatoes, dill sour cream, a grainy house mustard, with pickled veg. I’m big on pickled veg right now. The tacos will come with a corn salsa, that ties into the Aboriginal roots, but also guacamole. We’ll have a smoked meat sandwich on bannock. The meat will be cooked in spruce and whiskey. Of course some of the items on the current menu will stay? Simon: For sure. The boar burger is a good example because it’s really popular and something you eat any season. But I’m always working on new things. I’m working right now on a new pasta dish with cured duck, capers, parsley, parmesan. You’re also doing brunch on the weekend? We’re open all day on Saturday and Sunday for brunch. Smoked salmon bennie on bannock with baby kale has been really popular. It’s just delicious. And steak and eggs. That’s something that’s big out west and I missed it when I came back to Ontario and Quebec. Tell me about your decor. It’s a real mix. I love that prohibition-type decor, but also that nature-y decor you see in restaurants in B.C. I also wanted some Indigenous elements and a bit of Gatsby glamour. It’s a bit of everything. And cozy! Any plans to extend your hours in the summer? When I first opened in the winter, I didn’t know what to expect in January in Wakefield. I started with four nights, but it was so busy right away that I quickly added hours. We’re already open every day except Mondays. Once summer gets going I think we’ll end up being open every day for lunch and dinner. And we’ve got plans for a beautiful patio in the summer — it’s got a view of the covered bridge. So you’re ready for the crazy rush?